Recruiters with large numbers of people in their talent networks are always in high demand. The more people there are to choose from, the more options for high quality talent employers have. Not only that, but a strong talent network also helps companies save on time and hiring costs and lowers turnover. So, if you haven’t already done so, it’s time to plug a good talent network into your existing system. A complete talent acquisition and recruiting solution, like what we offer here at TalentCircles, will help you successfully integrate a talent network that works with your needs. Ultimately, the goal is to bring supply and demand together so you always have the talent you want whenever you need it. Here are some of the features and benefits you should expect from a quality talent network solution. Mimic real-life interactions – Uses a virtual setting to enable you to screen, interview and interact with candidates so you optimally execute on your staffing plan: hire fast, hire well, and hire cost-effectively. Networking and Communication – Regular, ongoing texts and emails keep you in constant communication with your candidates so you don’t have to start over at square one, waiting for new applicants, each time you have a job opening. Maintaining regular communication lets you identify bottlenecks and minimize problems. Ongoing engagement with candidates is essential. Create Profiles – Candidates have a live account in your network they can update and enrich, including adding availability schedules. Profiles can be used for searching, matching, and business intelligence purposes. Cloud-based and mobile-ready – Be accessible anywhere at any time on tablets and smartphones. Capture candidates during job and career fairs. Scan paper and electronic resumes and automatically transform them into profiles. Social – Candidates join your talent community using their preferred social login. 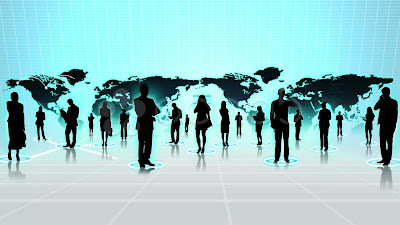 They can share information about jobs and your company with others in their social networks. Content Marketing – Offer videos, documents, blogs, webinars that interest your candidates. Jobs – Post jobs on your network or import a job feed. Let candidates share jobs with their own social networks. Searching and Semantic Job Matching – Find the best candidates—those whose skills and attitudes fit your company's needs and culture—in your talent pool. Automatically. Notifications – Send notifications when new jobs or new content are posted in your talent network. Sharing – Easily—and electronically—share candidate information, test results, ratings, portfolios, video interviews and more with all stakeholders. Email Campaigns and Messaging – Send branded emails with customizable templates to candidates and track effectiveness. Send private messages to your candidates synced with your desktop messaging application. Integrated Calendar – Send invites for virtual and in-person meetings - synced with your desktop calendar application. Questionnaires – Attach pre-recorded questionnaires to your job postings and sort candidates by scores. Video Interviews & Webinars – Screen candidates, discuss documents and conduct job reviews or information sessions. Circles and Categorization – Segment your community into branded groups of interest like "Sales", "Veterans" or "Students". Support a variety of tools which can be used to screen and help categorize candidates according to things like experience, skills and behavioral qualities. Import Résumés – Import old candidate data from spreadsheets or other systems easily. Analyze & Report – Track performance on a huge variety of data points, and report on your activity to fine-tune your attraction methods. Today, utilizing versatile as a part of your selecting procedure is in it's earliest stages and with that, it can truly separate your procedure in hopefuls eyes if done effectively. It can particularly help as far as marking and applicant experience for your organization too. Working in the recruitment industry is never easy, you need to find different ways to attract applicants and retain good employees. With proper paper help and documentation anything is possible. Very interesting article..I read all benefits about talent network solution..Recruiting right candidate is big task now a days, but your tips are very useful them. Thanks for sharing.